These are phrases to strike fear in the heart of even the bravest knitter. If you do any work in the round—hats, seamless garments, socks, mittens—you’ll have seen this sort of instruction. Although these are all standard form in knitting patterns, as with my mother’s regular and insistent instruction to “drive carefully,” we should consider them more a description of an objective than a specific process or technique. This instruction applies if you’re using a small-circumference method like DPNs, Magic Loop, Two Circulars, and the trendy Flexi-Flips/Addi Trio needles. The short answer is that you absolutely don’t need the same number on each needle. If you’re working on four DPNs—that is, stitches on three needles, with a fourth to knit—the usual approaches are to either have roughly a third on each, or half on the first and the remaining half divided across the other two. If you’re working on five DPNs—that is, stitches on four needles, with a fifth to knit—the usual approach is to have roughly a quarter of the stitches on each needle. But the divisions don’t need to be exact, or even close. I don’t recommend having significantly more than one half or less than a quarter of the stitches on one needle, as the resulting angles where the needles meet can cause laddering. But otherwise, use the distribution that works best for you. What’s more important is that you arrange your stitches in a manner that makes sense for any pattern stitches. For example, if you’ve got 68 stitches, and you’re working with five DPNs, this would lead you to believe that you need to put 17 stitches each on four needles – but that’s a terrible breakdown of stitches for pretty much any ribbing pattern. If working (k1, p1), you’d end up having to start a needle with a purl stitch—did you know that can make laddering worse?—and if working (k2, p2), things would get ridiculously complicated. In this case, I’d put divide them up so that three needles have 16 and the fourth has 20. If you’re on Magic Loop, Two Circulars or any other method that requires you divide the stitches in half, there’s also room for play. For example, if you’re working (k2, p2) ribbing on 60 stitches, put 32 stitches on one needle and 28 on the other. Don’t make the split too extreme – I don’t recommend going much less than 1/3 or more than 2/3 on either side, but do whatever makes sense for your pattern stitches. 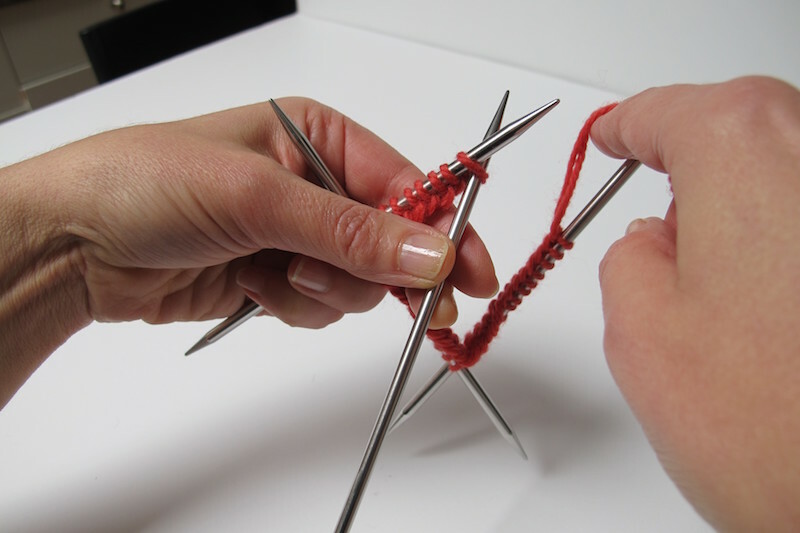 If you’re on a circular needle in the conventional manner—that is, with stitches going all the way around—just put a ring-style marker on the right-hand needle before you work the first stitch. If you’re on DPNs, Magic Loop, Two Circulars or any of the “small circumference” methods? No marker is needed. Just use the cast-on tail to keep track of the start of the round. When your two ends of yarn are lined up, you’re at the start of the round. You can’t use a standard marker in this sort of set up, as it would just fall off the end. If you find it helpful, you can place a removable-style stitch marker in the edge near the start of the round, but it’s entirely optional. You’ve got two “end” stitches. One will have the working yarn hanging off it, one won’t. To join the round, you’re going to work the stitch that *doesn’t* have the working yarn on it, with the working yarn. On a circular needle, this is entirely straightforward. The stitch that has the working yarn hanging off it—specifically, the needle tip that it’s on—goes in your right hand. The other end of the needle goes in your left. 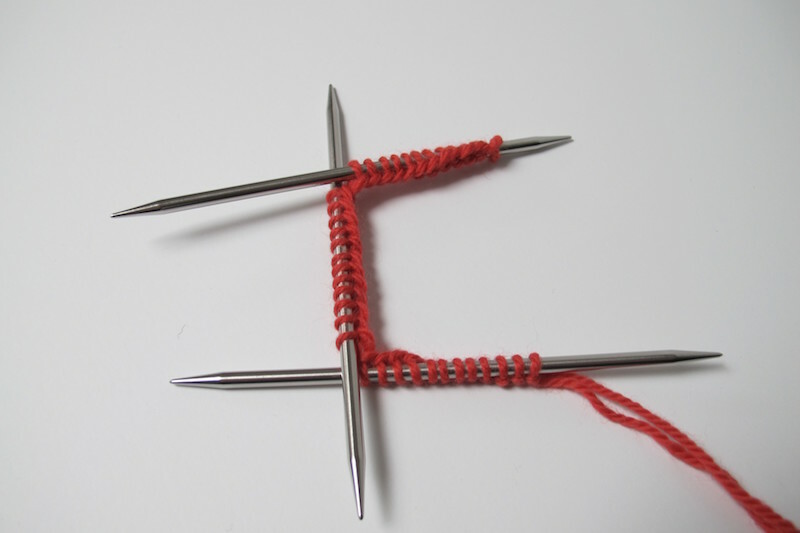 And just work the first stitch on the left needle tip—knit or purl as the pattern requires. In truth, this whole “join” instruction is a bit weird, in that you have to actually work the first stitch of the round to create the join. And you have to consult the pattern instructions for what to do with that first stitch. That is, if the instructions say to join, and then Round 1 says to work (k1, p1) ribbing around, the join isn’t complete until that first k1 of the ribbing pattern is worked. If you’re on DPNs, find the end stitch that doesn’t have the working yarn hanging off it. 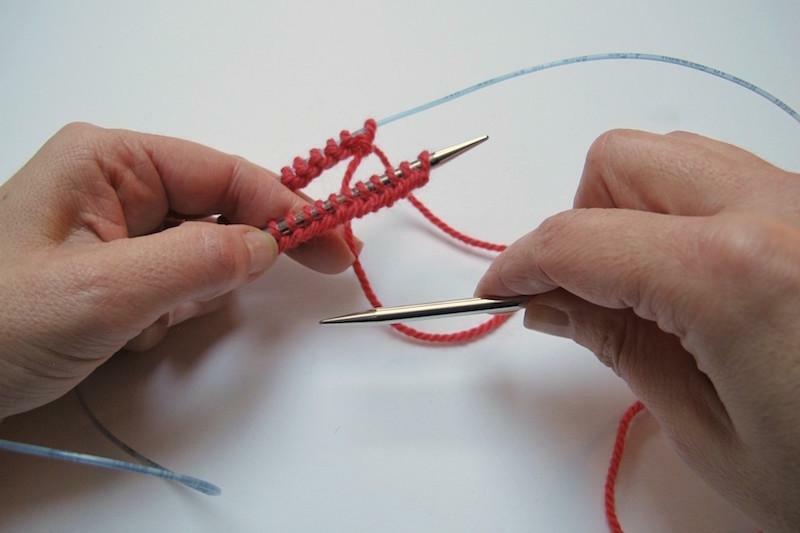 Hold the needle with that stitch in your left hand, with that specific stitch at the right end. If you work with the yarn in your right hand, just put an empty needle into the stitch, ready to work, and hold it with your left hand—then go grab the yarn, and knit that stitch. 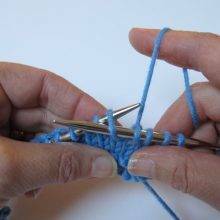 If you work with the yarn in your left hand, once you’re holding your needle with the first stitch to be worked, grab the yarn and position it. Then just put an empty needle into the stitch, and just knit it. 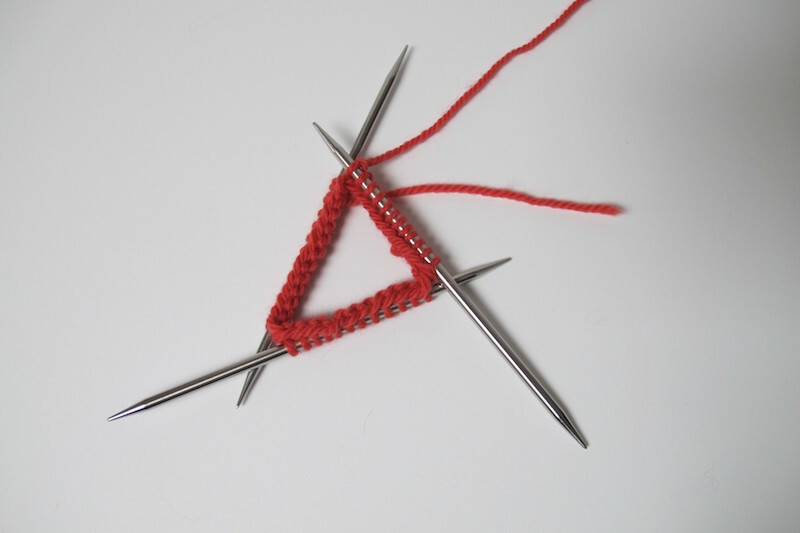 Either way, there’s no need to fuss about how the other needles are positioned, about forming a triangle, about any twists or any of that nonsense. Honestly, I don’t even bother holding the other needles. I just work the first stitch. The needles come together, and the round is joined. Done. 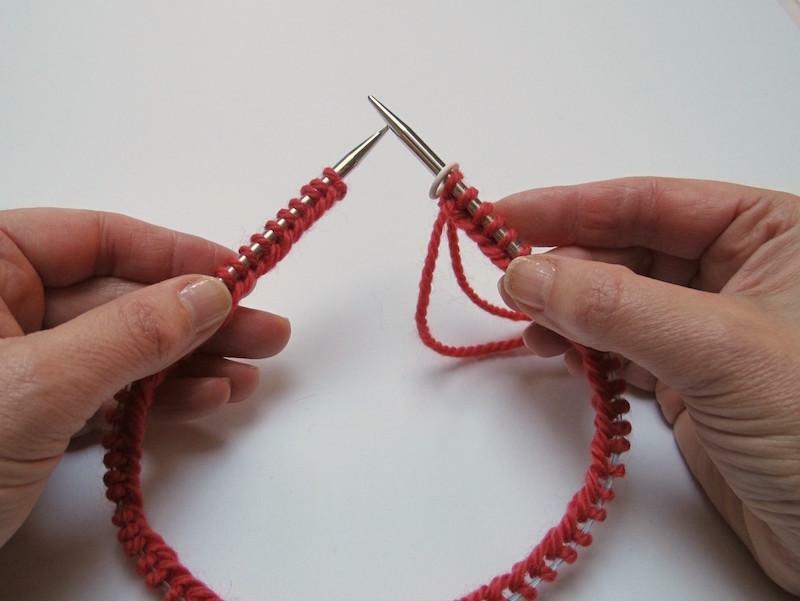 If you’re on Magic Loop, or using two (or more) circular needles, then the trick to making the join is to line up the stitches so that the first one you’re going to knit is up on the body of the needle, held at the front, and let the second half (-ish) of the round sit on the flexible cord at the back. The working yarn should be coming off the back side, coming off those stitches that are on the cord. And both the first stitch you’re going to work and the working yarn should be on the right-hand-side. Yes, yes, I know there are all sorts of other ways to do this—cast on extra stitches, and knit them together across the gap, or cross the first and last stitch over the join, and other sorts of trickery—but why make it any more complicated than it needs to be? Just knit! BONUS TIP: I don’t worry too much about how tight or loose that join is, or whether there’s a gap or not. It’s pretty tricky to make the join very tight, and you’ll have an end to deal with anyway–just close up the gap when you weave the end in. 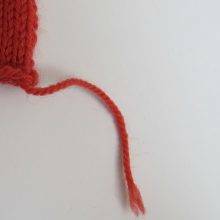 BONUS BONUS TIP: If you use a Long Tail (two strand) cast on, or any of its variants, work the first couple of stitches with both ends of the yarn—this helps reduce the “divot” at the join point. 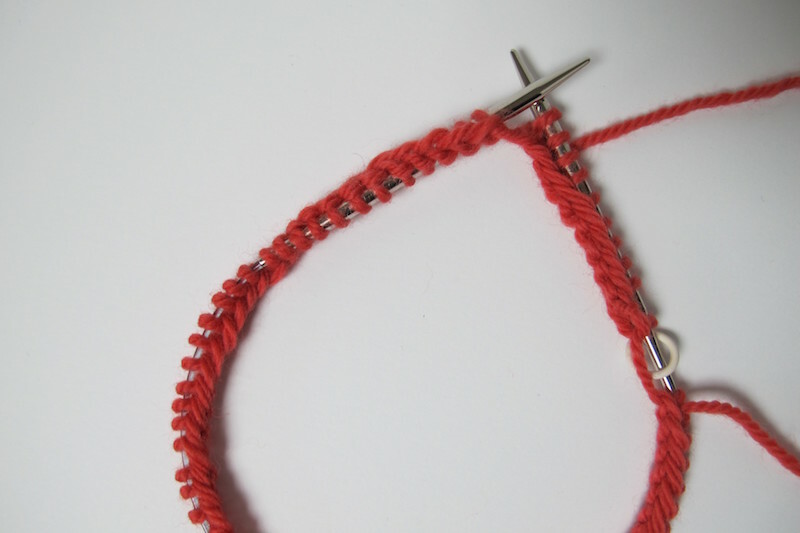 Just remember to work the two strands of those doubled stitches together on the next round. This is the biggie: you’ve been misled. When I’m joining the round, I don’t pay the slightest attention to whether my stitches are twisted or not. Heck, if you’ve got a lot of stitches on a long circular needle, it’s essentially impossible to tell. So don’t worry about it. Join, work the first round, and then check to see if there’s a twist. SHOCKING NEWS: You can fix a twisted round at any point in the first round. When we say that a round has a twist, we mean that the cast on edge, runs over the top of —around—the needle or one of the needles. There is no need to panic. Trust me. Just work the first round, following whatever pattern might be required—ribbing, usually. BONUS TIP: If you find that there’s a bit too much going on, it’s perfectly legal to just knit the first round, no matter what the pattern might say. Consider it a setup round. Start any pattern stitch—ribbing, or what-have-you—in the next one. It will make your cast on edge a little more prominent, but that’s not a bad thing. Consider it a decorative element. Once the first round is complete—knitted or ribbed or whatever—then look for a twist. If there is one, it will be significantly more obvious, as you’ve got a more prominent edge. 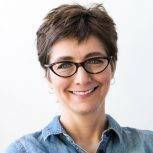 If you’re on DPNs or the other small circumference methods, you won’t even need to work the full round—you’ll likely be able to see the twist as you’re working across the needle that holds it. In that case, just shuffle it off the far end of the that needle. Done. 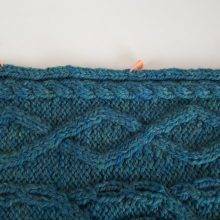 And yes, I know you can always work a few back-and-forth in rows before joining—this does indeed help you avoid a twist—but then you have to sew up the gap, and it can be hard to make that tidy. My feelings on that are a nice summary of my entire philosophy about this joining-for-working-in-the-round business: honestly, why bother if you don’t need to? Wouldn’t it be nice to be able to find this article again when you need it? My cheat for joining in the round: when I need to cast on a large number of stitches on a circular needle (for a cowl, for example), on the first round I simply turn and work back across the stitches and then join to work in the round on the second row. The first round after cast-on is often fiddly to work and this way you don’t have to worry about your join on top of dealing with working your just-cast-on stitches. You are going to have to weave in the tail of yarn at some point and it is not any harder to also join the beginning and end stitch on this first row at the same time you are doing that. Bonus: it is much easier to see a twist in your cast-on stitches after working a row. 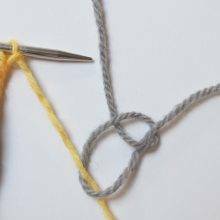 I have recently taught two new knitters and have had both of them do this when learning to work in the round, and they both agreed that this made working in the round far simpler! that is brilliant! You’ve changed my circular knitting forever! Absolutely! This has been my approach from day one of circular knitting. Yes, I have been doing that, it works great, and Wendy…I probably learned it from you! That’s been my cheat too! Sometimes I’ll even do 2 or 3 rows (adapting the stitch pattern if need be) until all is clear and made easy for joining. What a great tutorial! Wish I would have known this years ago. It’s always on the projects with a large number of stitches that I end up with a twist. In the past, I’ve always just ripped it out and started over. Thank you, so wonderful to know that there is an easier way! Yes! That seven-second video kind of changes everything. Will it still work if I have multiple twists over 240-300 stitches, like in my Boxy (Joji)pattern? Kate comes through again! I promised my little 5 year old neighbor a pair of mittens and wanted to knit them in the round. I’m still trying to master DPNs, so her tutorial is timely! Thank you, thank you! Good to have all these hints in one spot, thankyou. 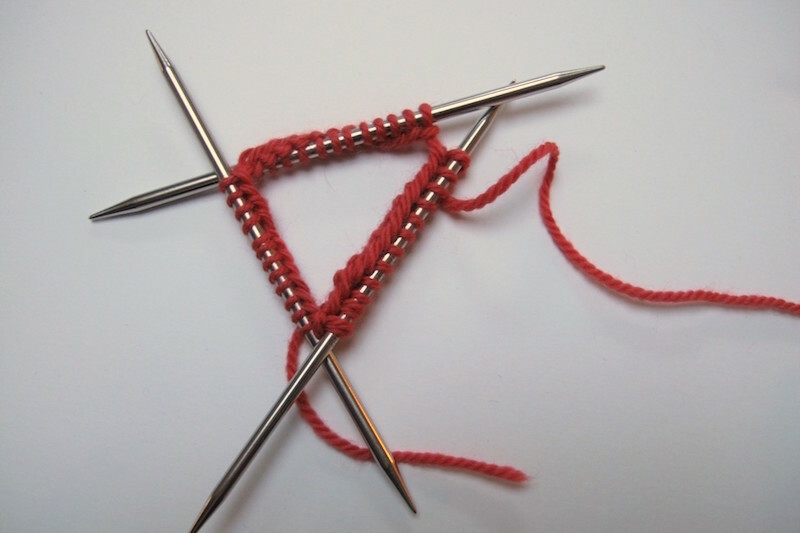 These are some of the trickiest things to teach new knitters. We lefties that are newer to knitting have to mark opposite for our dominant hand. I wish all patterns took that into our instructions. This is a great post. I still can’t handle the dpns yet. Its fumbly and foreign. How do you keep it all from dropping stitches? While your hands are getting used to DPNs, you could use some of those little rubber thingies to put on the opposite ends of your needles so your stitches won’t slide off the back ends. It’s a bit of a hassle, because you have to keep moving them, but this could be a short-term help. So clear and helpful. Thanks, Kate! What a clear and concise discussion of working in the round! 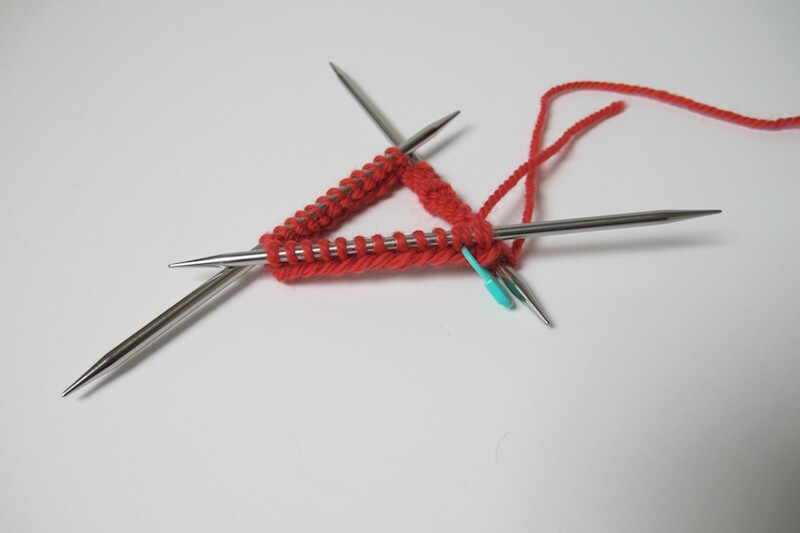 One of my preferred methods of working in the round is to use two circulars – and the stitch marker always falls off the “beginning of round” needle also. . . I’m too lazy to pay attention to the tail, so put a blues marker one stitch in from the first stitch of the round. (I always use Blue markers for Beginning of the row/round). “Being Careful Not To Twist” section – my mind has been BLOWN. I’ve been known to untwist the join after more than one round. (It was very fine yarn and the round had lots of stitches.) After weaving in the end, you couldn’t tell what I’d done. Not sure I’d recommend doing this frequently, but it worked for me. It’s not the end of world if you twist your work and don’t notice for an inch or two. 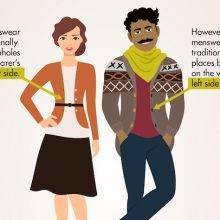 This happened to me with a fair isle project once and I just cut it and reattached. I didn’t have steak stitches either! Yes! Same here except it was a stranded cardigan so had a steek. I just cut the steek and re-joined. With a good toothy wool none of my stitches unraveled at all, nothing scary happened. But I’m very glad to have this alternate way to fix it too. Love it, especially the “nah” commentary! This was very helpful to me as I stress out about this, especially on DPNs as I usually avoid them whenever possible. This relieves my anxiety around this, though I should’ve realized this as I’ve fixed twists that I’ve gotten despite all the careful laying-out-on-a-table, inspecting-every-stitch, joining and praying I got it right. What I was missing was the idea just not to worry and almost plan on fixing it! Thank you!! Thank you so very much! I can almost always count on a twist when I cast on in the round. This is really helpful and I’ve saved it to my MDK files. The videos were really beneficial too. I have been knitting for a decade, and do lots of projects in the round. I stick to the magic loop – DPNs seem to require a *lack of clumsiness* that I don’t possess. I’ve learned a few tricks in my time (number of stitches on each side doesn’t matter, splitting the stitches up where it makes sense for the pattern, just straight knitting that first row rather than jumping in to any ribbing pattern) – but… the fix on a twist is game-changing for me! Despite my years of knitting, I recently cast on 2 different cowls, both requiring between 200-300 stitches. I twisted them both, didn’t realize until I was into the 2nd or 3rd row, and ripped it apart in frustration. My anxiety over starting my next cowl has now been alleviated – thank you!! thank you! nice and easy, no stress. JHC. I just did this TWICE over Thanksgiving—- first time in years and awoggles…… I blamed the laughter around game night and my knitting cast on timing. And I fretted, and fussed, and called myself names. Now, I see that was kinda a time waster! 😉 Thanks for this. I feel better knowing that should the miscabobbulating happen again, I won’t even raise my blood pressure the tiniest!!!! I love my DPNs and rarely have issues with laddering. For those rare occasions that I have had laddering, I have to wonder if it was because I was starting the needle with a purl stitch??? Also, occasionally I do need a marker at the beginning of the round on DPNs (like, for a fancy pattern a ways away from the cast-on edge), so I will move all the stitches about a half needle over, so the beginning of the round is in the middle of a needle, allowing me to place a stitch marker there. I always keep the start in the middle of the row when working on DPNs. It just seemed to make sense to me. Thanks for a very informative article. I especially like the cleve way to fix the twisted cast-on. I always cast on an extra stitch and knit this extra stitch together with the first stitch – I‘ve joined the round and there‘s no gap to hide! But you have to look out for twists (I don’t care about that – find that easy). Simply wonderful, easy reading,clear instructions. Thank you. Thanks for another great and useful article. Would like to add one of my tips for avoiding the ladder thing when working with DPN (I work in the round as much as I can) : I knit the first stitch of the first row onto the 3rd (4th) needle then begin the 4th (5th) needle knitting the rest of the stitches on needle one then knit one or two stitches off needle two and so on. The breaks between needles never stays in the same location. I have successfully used this technique hundreds of times. Hopefully this will help someone else over their fear of Knitting in the Round. I would rather Knit in the Round than seam a finished garment.!!! Thanks for the clear, concise help! I’ve found it doesn’t matter, in the least, how many stitches are on a particular DPN. In fact I keep changing stitch position and stitch on each DPN. After my very first sock had laddering I made this correction and haven’t seen a ladder since . 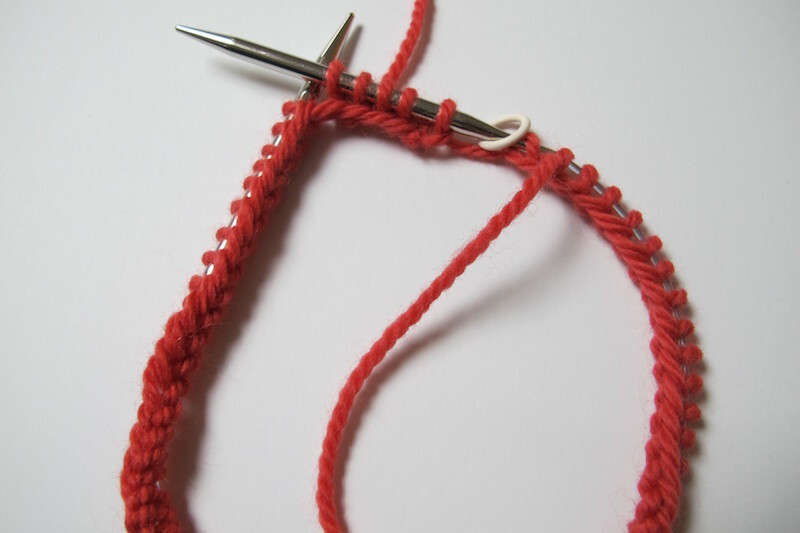 I can’t recall where I learned this, but one tip for joining that makes the gap go away… slip the right hand (working yarn) loop onto the left needle, then lift the loop from the left hand needle over and onto the right needle. Essentially you’re just trading places with the two end loops. Knit away like usual and there is no visible (to the naked eye) join! I should probably knock wood like Woody Woodpecker here… I’ve never twisted my stitches. But now I’m not worried about it… I’ll just use this handy trick! Thanks! WOW!! I teach knitting at my local community college. No matter how long or how much I teach I continue to always learn something new. This article on “join” is a real winner. It is going to help me immensely as I try to explain “join” to my students.